Carnaval is a camp concoction of cross-dressing folk consuming copious amounts of alcohol and celebrating which ironically symbolises the final festival before the Christian Lent. The Carnaval in Tenerife is the second-largest in the world. It is essentially an excuse for the masses to shed the masks of civility and social expectations and don the masks of chaos. It was with all of this in mind that I decided to drape a blank canvas around my neck and take to the streets with paints in my pocket. I went up to people with the simple request ‘Do what you want’ as I handed them the paints to express their creativity. As can be assumed, the night progressed (as can be seen from the photos) and the designs and comments became bolder and less legible. People were initially reluctant to experiment with the paints and instead focused more on leaving small, neat messages. However, there were the few who fully let their inhibitions loose on the canvas. I think that it is safe to say that what we created was short of being considered a piece of art in any conventional sense. Though what I did create was arguably something to be prouder of. 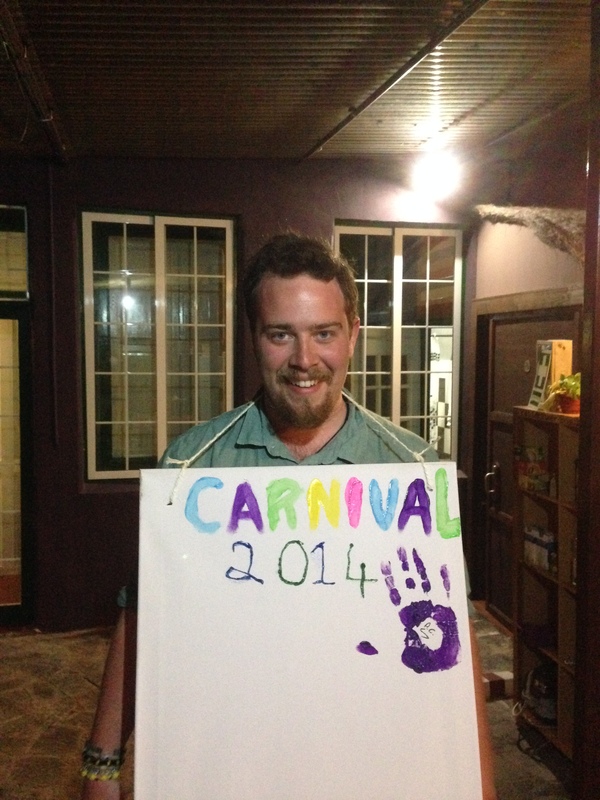 We created a snapshot of the people, personalities, cultures and emotions of those that attended the Carnaval. 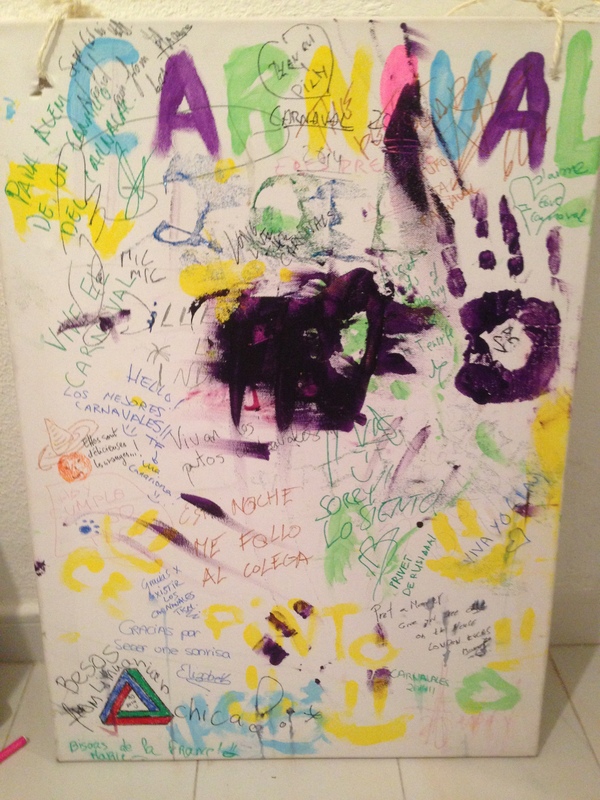 What is immortalised on the canvas is a piece of the Carnaval’s energy; a photo in words and smudges, and that is something I’m pleased to have been a part of.